Do you want to replace the old pipe fittings with advanced and durable one? For plumbers and even for professionals in oil & gas and different other industry vertical, different types of fitting solutions required to streamline the process. They often search for the top manufacturers and suppliers who have years of experience for offering precise solutions and support. Among different types of fittings, you will get brass pipe fittings that are the most vital one and come with a gamut of added features and benefits. 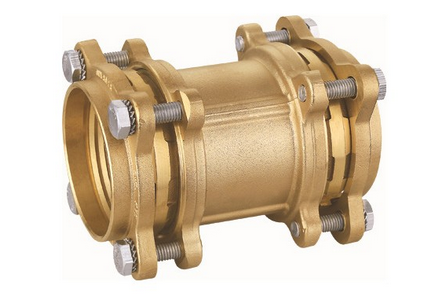 Brass pipe fittings are the blend of zinc and copper alloy that is counted as the best source of ensuring durable plumbing fittings and fixtures from homes to large industrial complexes. Not to mention the use for safe, durable components to your plumbing system. Brass is synonyms with durability and reliability as the strong metal that is the basic need of a plumbing system for long service life. Brass pipe fittings offer you advanced that is an excellent choice as they remain in great condition for years without cracking or disintegrating. Flexibility and versatility are two key features of brass pipe fittings that are making them ideal to use and providing a gamut of added features. They are available in a wide range of shape, widths and sizes with fittings available to allow you to alter pipe size. Use of such pluming needs is ideal for project that need strict specification, brass fulfills the demand. It is also used for polished, plated in chrome, lacquered or for nickel or antique finish. Brass is counted as the best fitting material that is ideal for hot water distribution. It provides exceptional conductivity of temperature and improves hot water distribution system efficiency. In addition to this, brass is also supplied in high temperature that can withstand much higher temperatures in comparison to other options.